View More In Industrial Electrical. Widely used in the home indoor lighting, hotel, meeting room,, offices, hospital, schools, factories, museum, shopping malls, supermarkets, restaurants or any other places where accent lighting is required. Established in 2003, For more than a decade we have provided customers from over 100 countries and areas with excellent LED lighting solutions. Lifestyles of Health and Sustainability is just what LOHAS-LED highly recommend. We have always been dedicating to the research and development of LED lighting products. Convenient to Lighting--Work with Wi-Fi or cellphone traffic, controlled by APP on smart phones (Android 4.1 above or IOS 8.0 above). Work with Amazon Alexa and Google Home and can be voice controlled. You can create groups to control two or more bulbs. To improve home security though remote control. 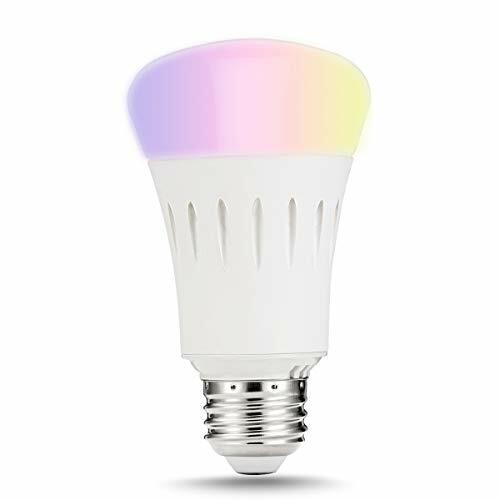 Make Home Lighting Colorful--A19 9W dimmable LED Wi-Fi bulb. It can be used as a common LED light and for special purpose with its multifunctional design. 16 million colors are available, from 2000k to 9000k. Choose different colors to suit your mood. Easy to Install--There are 3 steps to start your smart life. Scan the QR code to download the APP, install the lamp(E26 base) and use the APP to control the Wi-Fi bulb(No Hue Required). If your wifi have the Mac Filtering, please do this as follow: Log in the app Control Interface; Click the Top right corner with a icon of three dots; And then you can see the information of the Device ID and the last 12 characters are the bulb's mac(physical) address. If you have any questions about this product by LOHAS, contact us by completing and submitting the form below. If you are looking for a specif part number, please include it with your message.